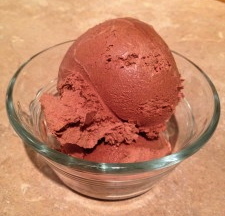 PALEO JAY SMOOTHIE CAFE: Paleo Ice Cream! ice (just under 1/2 cup; add less than you think you need, then increase the amount). This will make perfect consistency ice cream. I mean, what could be better than a perfectly healthy ice cream?? Party down! !